Michigan imposes two residency requirements, state and local, both of which must be met by only one spouse. This means that a divorce can be issued in Michigan even if one spouse lives abroad or elsewhere in the United States. The state residency requirement is that one spouse must reside in Michigan for six months prior to the filing of the divorce petition. Likewise, one spouse must reside in the county in which the divorce petition is filed for at least 10 days before the filing date. 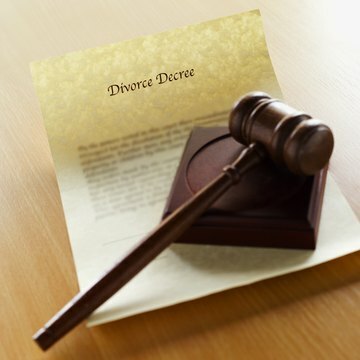 The Michigan divorce process is initiated by the filing of a Complaint for Divorce with the Michigan Circuit Court sitting in the county where either spouse has resided for at least 10 days. The petition does not have to allege fault; the no-fault ground of "irreconcilable differences" is enough. The petitioning spouse must also file a marital settlement agreement if one has been concluded, and a Uniform Child Custody Jurisdiction Enforcement Act Affidavit if minor children are involved in the divorce. A marital settlement agreement is an agreement between the spouses concerning division of property, alimony, child support, child custody and any other outstanding issues. Without a marital settlement agreement, the court will decide these issues. The court will have a summons, a waiver and a copy of the complaint served on the other spouse. The other spouse must file a formal answer and, if he agrees to the divorce, submit a waiver asking the court to grant the divorce. If he disagrees, he may outline his objections in his answer and seek a trial. If he fails to answer within 21 days, a default judgment is entered in favor of the petitioning spouse. Depending on whether or not the divorce is contested, it will be resolved at a short hearing or at a formal trial. If the divorce is contested, the spouse contesting the divorce may be excused from attending the trial if he retains an attorney to represent him and is not subpoenaed as a witness by the other spouse. If the non-petitioning spouse resides abroad, he must be served with the summons, complaint and waiver in accordance with the applicable international treaty. One of two treaties is likely to apply: the Hague Convention for Service of Process Abroad or Inter-American Service Convention. Most member countries allow service by international registered mail, return receipt requested. In most other cases, the filing spouse may have the U.S. Justice Department deliver the documents to a foreign central authority who will then serve the other spouse. Only a few countries are members of international treaties obligating them to respect the decrees of foreign family courts regarding property division, child support, alimony and child custody. If your divorce involves property or children located overseas, enforcement of orders issued by a Michigan circuit court will almost certainly be subject to discretionary approval and enforcement by authorities in the country where the property or children are located.